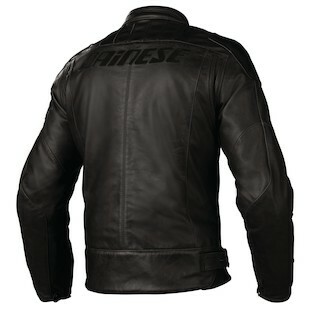 Brand new for spring 2012, the Dainese R-Twin Leather Jacket is a vintage-inspired option designed for the city rider, naked bike or café racer enthusiast. 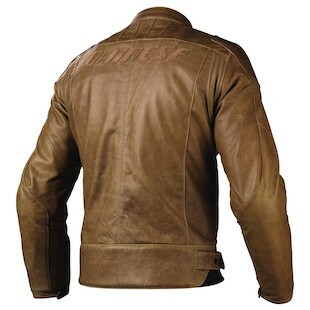 Dainese uses a special resin-treated vintage cowhide to give this jacket an extremely unique look and feel, delivering an aged look that will appeal to all the retro-minded riders out there. Available in black, tobacco and dark brown colorways, there is an option that will fit every rider's style within this community. At first glance, the Dainese R-Twin flaunts a style popularized decades ago that we've recently seen make its way back in the motorcycle world. What you won't see at first glance is all of the motorcycle functionality we've come to expect from Dainese. It's certainly there, but it's done in a subtle manner that doesn't take anything away from the R-Twin's aesthetic appeal. Beyond the premium vintage cowhide leather used in the construction, you'll see S1 stretch panels along the inner arm for flexibility and airflow, in addition to microelastic inserts at the shoulder blades. Dainese's new Microelastic technology is elasticity that is woven into the leather, enabling you to maintain the strength and abrasion resistance of leather while providing flexibility and range of motion. For protection, there is Dainese's proprietary CE rated armor at the shoulders and elbows, and there are pockets in the back for both the Dainese Air Shield and Wave CE rated back protectors. Inside, there is a removable thermal liner for the colder months which can be removed, and two open/close chest intake vents to flow some air in warmer times of the year. Adjustments are found at the neck and waist, and there is a full 360º zip to connect this jacket to pair a Dainese leather pants. There are two standard handwarmer pockets on the outside, a pocket on the thermal liner, and an inner liner pocket. 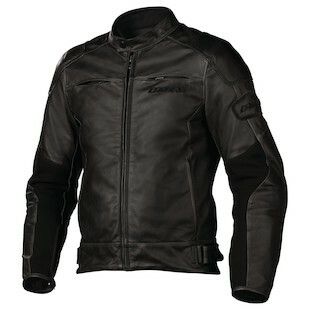 The inner liner features Dainese's sanitized treatment to keep the funk out of this jacket in the long term. Clean lines, classic style, and protection worthy of one of the leading motorcycle gear brands define the brand new Dainese R-Twin. It is an excellent new addition to the Dainese lineup, standing next to the rest of their vintage-inspired city leathers. 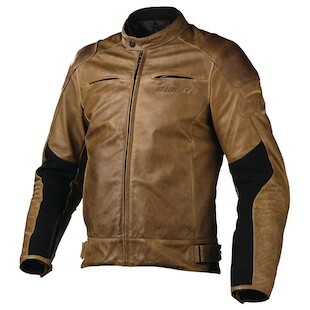 To compare with other options out there, visit our leather motorcycle jackets section. Comprehensive! And very well researched.